It’s never been easier to stay connected to your home with Insteon Hub setup takes a couple of minutes and a few moments per light switch, sensor, etc. - All you need to do is connect it to power and your home's internet router. Everything you need to create peace of mind. Just connect the Insteon hub to your existing home router and start adding devices. This kit includes the Insteon Hub and two dimmer modules which allow you to remotely control one or more lights and create schedules. Everything you need to create a comfortable atmosphere in your home. Just connect the Insteon Hub to your existing home router and start adding devices. This kit includes the Insteon Hub, two dimmer modules which allow you to remotely control one or more lights and create schedules and one Wired Thermostat which you can control remotely. Everything you need to create peace of mind. Just connect the Insteon Hub to your existing home router and start adding devices. This kit includes the Insteon Hub, two dimmer modules which allow you to remotely control one or more lights and create schedules, one Leak Sensor to alert when water is present, one Motion Sensor which alerts you to motion in your home, and one Open/Close Sensor which alerts you to things being opened. Or link them together for custom solutions. Everything you need to stay connected to your home. Just connect the Hub to your existing home router and start adding devices. 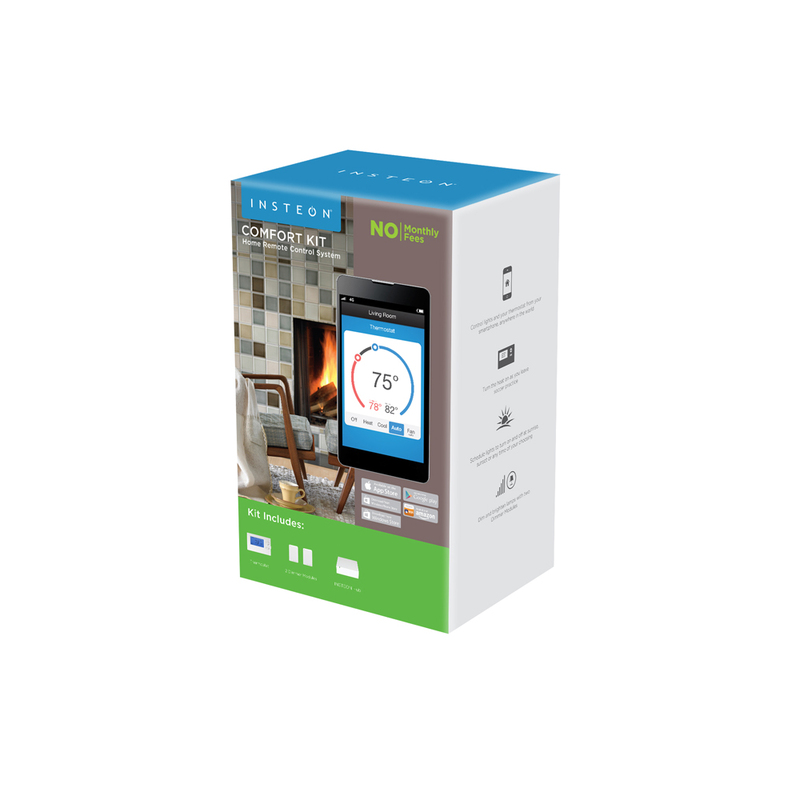 This kit includes the Insteon Hub, two dimmer modules which allow you to remotely control one or more lights and create schedules, one Leak Sensor to alert when water is present, one Motion Sensor which alerts you to motion in your home, one Open/Close Sensor which alerts you to things being opened, one Wired Thermostat which you can control remotely and one WiFi Camera which allows you to see and hear what is going on int your home.